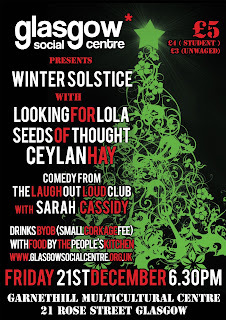 The Winter Solstice is fast approaching, and this year The Glasgow Social Centre brings you an evening of food, comedy & music to celebrate that we've all made it half way through the darkness of winter. The People's Kitchen is providing a meal from 6.30pm. We'll have comedy from The Laugh Out Loud Club Compéred by Sarah Cassidy, and live music from Looking For Lola, Seeds Of Thought, & Ceylan Hay. Join us as we take collective refuge from the commercialism of Christmas & Celebrate the Winter Solstice. Garnethill Multicultural Centre, 21 Rose Street, Glasgow. 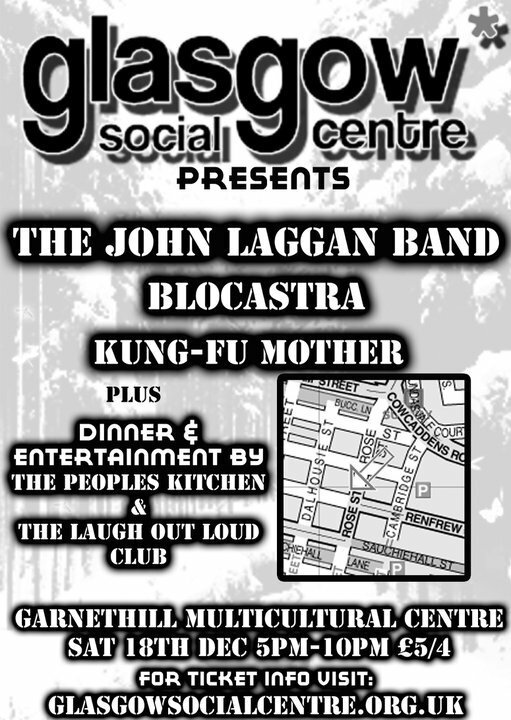 The Glasgow Social Centre Collective. We have a social centre! 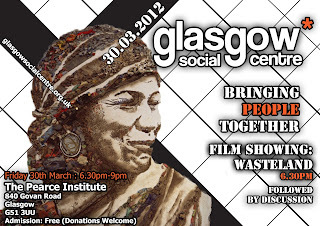 Glasgow Social Centre will be in the basement of GMC on Tuesdays and some Fridays 6-10pm. Come along to find out what's going on and get involved! Hello! Thanks for everyone who came along and joined in with the Pop-up social centre at Kinning Park Complex. It was a magic weekend with food, craft, roller skating, talks, dancing, bike fixing and we left them with a garden! Here are some photos. If you would like to get involved please email us or come along to the CCA Electron Club on Mondays at 7pm. 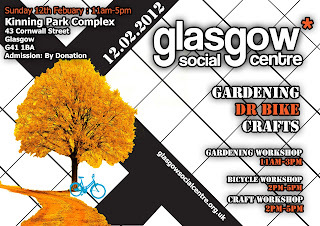 On Sunday at the Pop-Up Social Centre we will be bringing you Dr. Bike. Bring along your bicycle for fixing from 2-4pm at the Kinning Park Complex. Sometimes it seems that our city is drowning under the torrential logic of capital. A councillor’s retirement package amounts to more money than many of us will make in a working lifetime; private developers and monopoly landlords gorge on public assets fed to them by local government; and the ruling parties continue to propagate the most insulting sound-bite of the current crisis: “We’re all in this together”. B*llsh*t, we’re not all in this together, the political, industrial and financial elites are doing very well on our labour, time and anxieties. Stopping the rot starts wherever we find ourselves. There is no big secret to enacting change. The knowledge and skills required to end the rule of the few resides within each of us. Tapping into that knowledge is itself a learning process that takes place in the here-and-now, not sometime in the future. Our communities are worth more than any number of pound, euro or dollar signs. We realise this worth when we come together and share what we have. 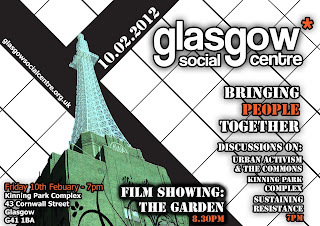 This ‘coming together’ is the essence of the Glasgow Social Centre (GSC). From the 10th to the 12th of February, the GSC invites you to take part in a series of events spanning across the coming year in various locations around the city. These events, known as Pop-Up Social Centres, are intended to increase our collective confidence through sharing our stories and ideas. These events are intended to produce practical actions that defy the possessive logic of capitalist greed by creating collective ways of being-in-the-world. 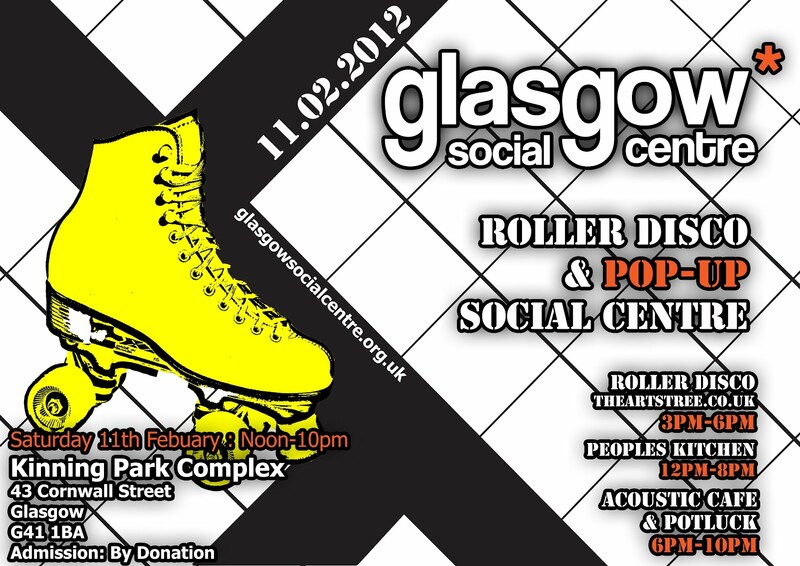 Saturday 12am-10pm Roller disco, food, entertainment, stalls and more! 6-10pm Acoustic Cafe and pot luck. For pot luck bring along anything you want to share: food, tricks, games, music, instruments, ball pools etc. Also stalls during the day and free shop! Bring or take clothes for free. The ‘Social’ in Social Centre is crucial to the ethos of the social centre movement. Theatre, poetry, music, dance and roller-skating discos: we use these mediums to tell our stories of love, adventure and resistance; we use these mediums to imagine new ways of being-in-the-world; and we use these mediums to simply make an arse of ourselves. Saturday is about roller-skating, food and fighting capitalism. Saturday is about coming along to share a song, a joke, a story, some cake, a recipe; or a piece of utterly useless information about clocks, owls, coat hangers or sand paper. If, for the time being, you’d like to hold on to such particulars, then that’s fine too: your company is more than enough. If you can, please bring along guitars, trumpets, mandolins, drums, shakers, wobble boards, sport socks, bean bags, post-its and egg-timers (the fancier, the better). My mate gave me his old racer when he bought himself a brand spank’n new Rally Grifter. The racer is gubbed and in need of some serious attention. 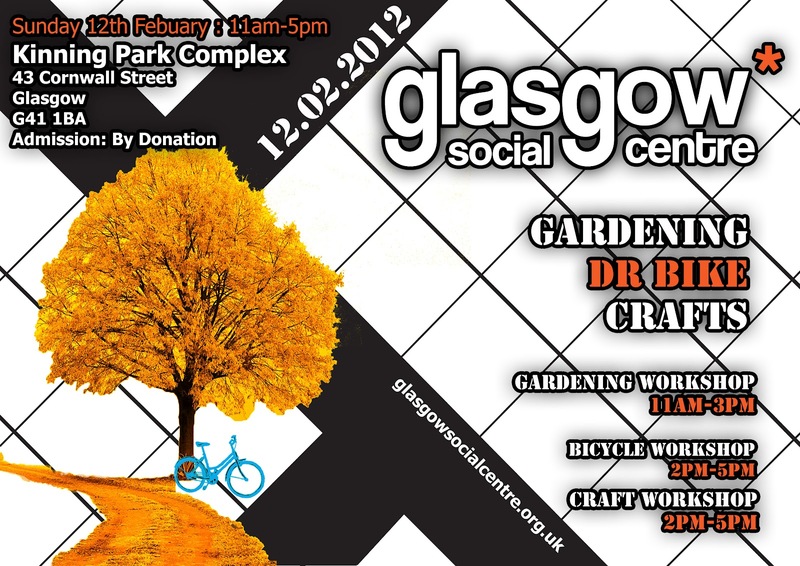 On Sunday 12th February at the Pop-Up Social Centre our friends The Glasgow Bike Station are running a bike maintenance workshop. The winter is particularly harsh on our two-wheeler, ten-speeder dream machines: pop along for some Tender Lovin Bike Care. I’ll see you all there with ‘Bullet the Blue Sky’ (that’s my new racers name). Other friends will be there too. We will be running a workshop on raised garden beds. Dominate your vegetable patch without backache. Erect a raised garden bed on your urban plot and let the worms work their magic. Sunday is about skill sharing. It’s about learning practical stuff with friends. 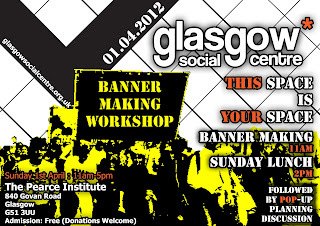 As well as the above, the Glasgow Social Centre will be putting on an up-cycling workshop where you can learn how to turn bike tire inner tubes into wallets, purses and maybe even dinner jackets. There are all sorts of practical and fantastical things you can do with a wee bit of junk and imagination. We’ll let you what junk to bring over the coming week. Roll up, roll up! The next fantastic event to raise money for a new social centre is nigh! 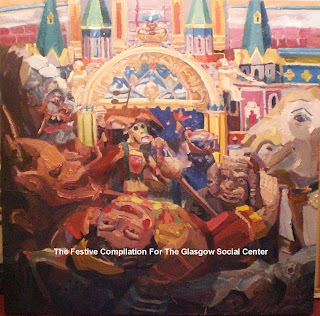 Come along for the Glasgow Social Centre compilation CD launch night. Performances include artists from the CD plus a mega line up of upcoming exciting musicians, poets and more. 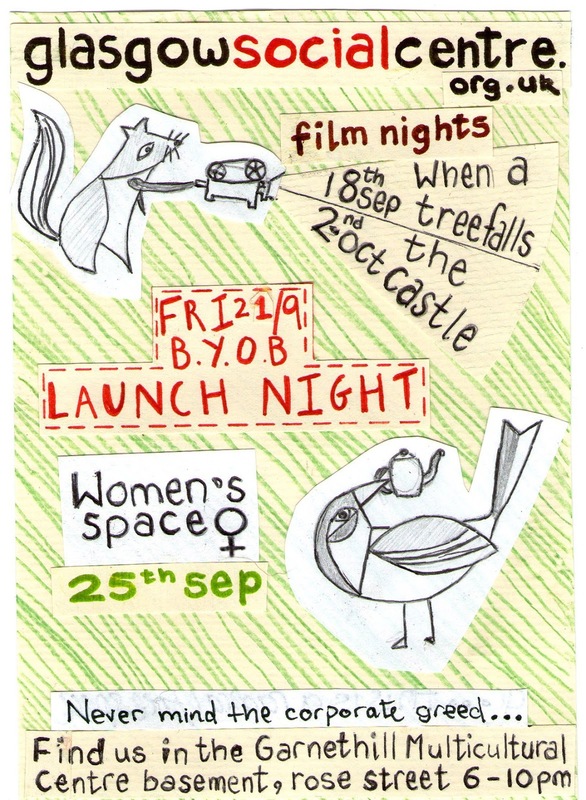 The night will include free healthy vegan food which will taste truly amazing, plus a film and introduction to the new space. 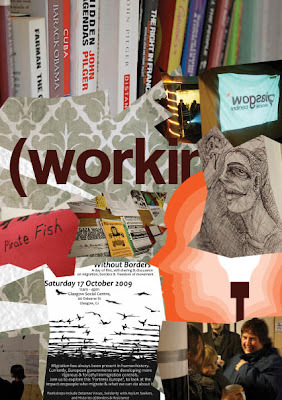 The infoshop will also be making an appearance, so make sure to bring some pennies to purchase some radical press. The infoshop list will be posted shortly. Come! Come! Bring your Friends. Entry free, donations welcome. Tawona Sithole & Ernest Nyamaropa; These brothers from Zimbabwe clearly have something special you don’t want to miss. Together they sing, and play songs on their Mbiras. Their instruments and their songs are passed down through generations and from their ancestor’s family name Ganyamatope, their music celebrates togetherness. They create a fun comfortable atmosphere where you can join in, and play in the spirit of their music. Trees; create a rush of intense powerful discordant harmonies that then drastically changes direction with peaceful, subtle, calm sounds from where they left off from. Their music is defiantly unpredictable, and their creativeness challenges their performance as a whole. The energy they create disburses out into the audience to leave you with an experience that’s rile something quite special. Tom Snowball; is well known in Glasgow for his performances in the past with Rags & Feathers and dead fly buchowski. He has a Great sense of originality that comes through his emotive uplifting songs. Sultan Alishire; Sultan is from Saudi Arabia he has toured to Helsinki, Oslo, and has played many performances in the UK. He has collaborated with his friends and many well-known artists from East Africa and North Arabia. He’s extremely talented at his instrument “Sulte”. His collaboration with Yusuf Yare and Sada Ali Wasame makes him very important as performer but also as a voice for the African and Arabian people. This is a very special opportunity to see such a respected musician. Jack Thomson will join Sultan on the night combining the performance with percussion. Adam Stearns; The sound he creates solo ad as a group comes from a rich base of 60s pop, folk, psychedelic influences, the music forms a silky cocoon of delicately weaved vocal melodies, punctuated by moments of dazzling harmonic beauty. His inventive yet restrained guitar work is perfectly balanced by quasi-virtuosic strings and the occasional advent of minimal percussion. An unassuming yet rich combination of the freshest musical ingredients makes Stearn’s sound utterly unforgettable . you will be crying out for more! 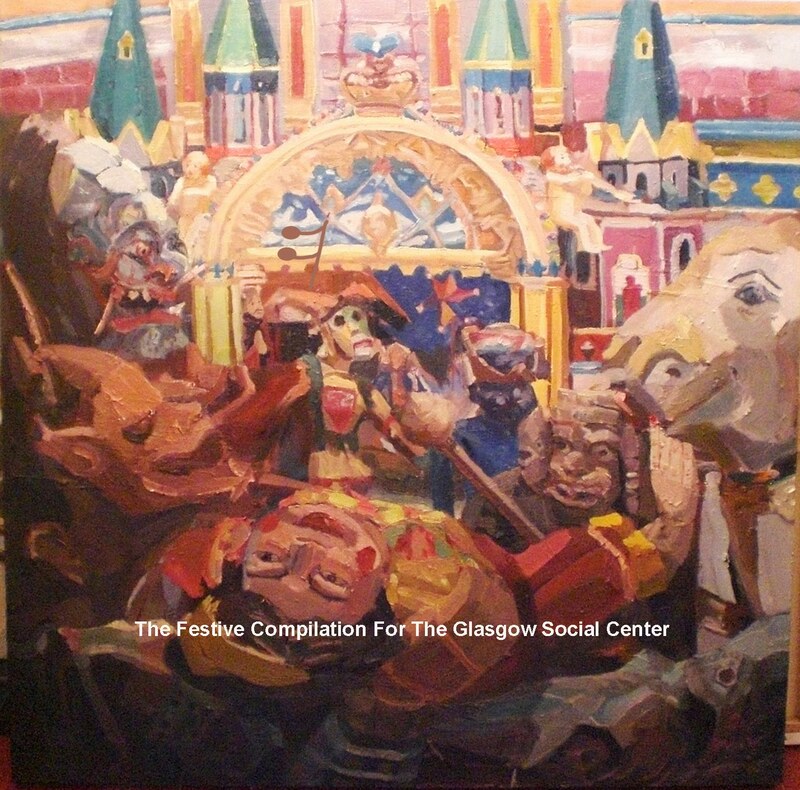 The Glasgow Social Centre Winter Solstice Party is here! 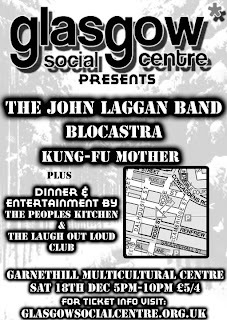 After the success of the last event at the Garnethill Multicultural Centre, we will be returning on Saturday December 18th with another amazing line-up. We're excited already. 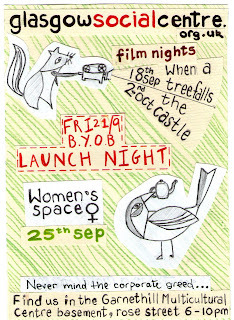 See the poster for full details. This is event is byob with corkage £0.50 a can £2 a bottle. Full tickets £5, advance. £4. Food by donation. 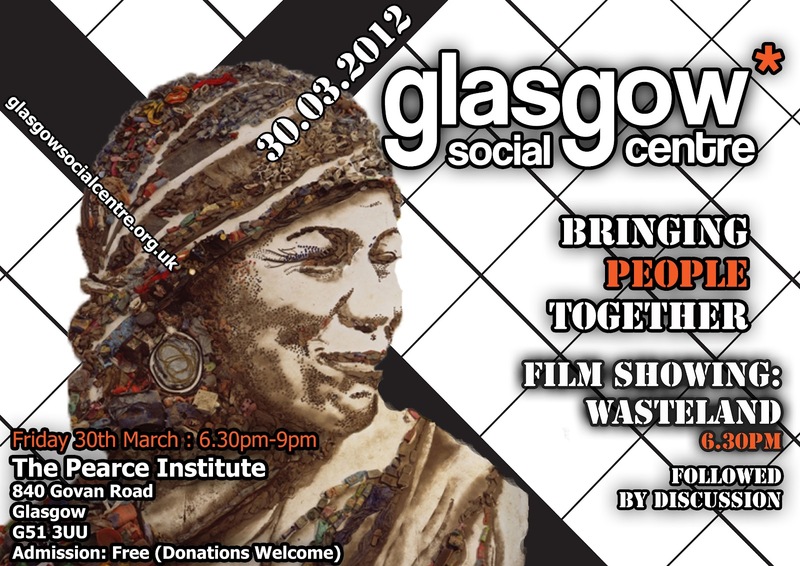 If you would like to help out for the event or generally find out more about the Glasgow Socail Centre don't hesitate to get in touch. Email us at glasgowsocialcentre@riseup.net or come along to meetings on Mondays 7pm in the CCA Electron Club. 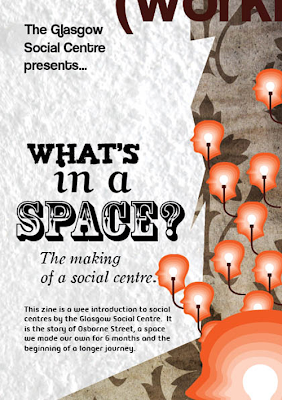 If you would like to get involved in bringing a social autonomous space to Glasgow then get in touch. that will operate as a hub for a variety of community and social groups in Glasgow.